I am satisfied now... I've "worked" all day making an effect like this. This was very hard to find what can bear this engine and when It's break apart. What do You think? It's worth the effort or not? I've made a pattern with a lot of 1 and 0 (made with shapes, not textboxes of course), different opacity. I've used that as a background. Then I made the shading until it formed a face. The hardest part was the pattern and not kill the engine. It looks like a weird techno-tattoo from New-Zealand. @calm Ghost Rider is a fictional character. He is a skull headed guy on a motorcycle fighting against bad guys. The ghosts in the Machine is a term for souls of Hackers stuck in the Matrix after death. 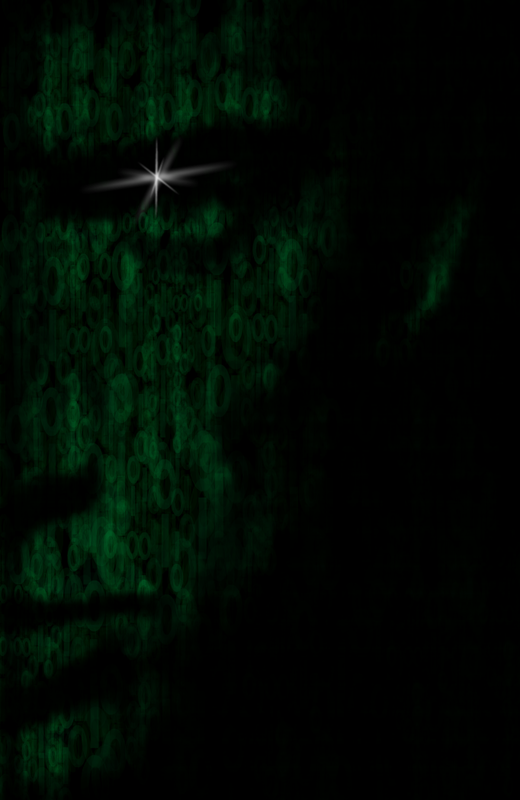 Artificial Intelligence also called ghost in the Matrix. I don't know what to say because it looks really awesome! This is the thing! Like: "...Porra - Sensacional, cara! ", rs.